Different read and write speed. This article will be the last part. The traditional mechanical hard disk has a high-speed magnetic head inside, thus it has very poor shock resistance. Therefore, hard disk is easy to get damaged if used in motion or vibration. And mechanical hard disk uses a chip storage solution without magnetic head inside, which makes it defy collision, shock, and vibration. It is equipped with strong shock resistance, so that normal use won’t be affected even in the case of high-speed movement or even along with tilt turn, and the possibility of losing data when a laptop accidentally falls off or collides with a hard object is minimized. A typical hard drive only works within 5 to 55°C, while most solid-state drives work at -10 to 70°C, some industrial-grade solid-state drives can work at -40 to 85°C, or even larger range. Current solid-state drive has a fixed number of reads and writes, which is also the reason why many people complain about their short lives. However, the read/write number does not weigh a lot in terms of the service life of the ordinary hard disk. So, can a solid-state drive and an ordinary hard drive be installed on a computer at the same time? Firstly, mount the solid-state hard drive system, install it and then mount the mechanical disk, so that your hard disks can be perfectly identified. Enable the hard disk AHCI mode, click the “del” key before starting the system, then enter BIOS and enable AHCI. The pricing for per unit of capacity is 5 to 10 times the traditional hard disk (flash memory base), or even 200 to 300 times (DRAM base).But with wide use of solid-state drives, the price has become more and more affordable, and its price gap with traditional hard drives is not that wide. 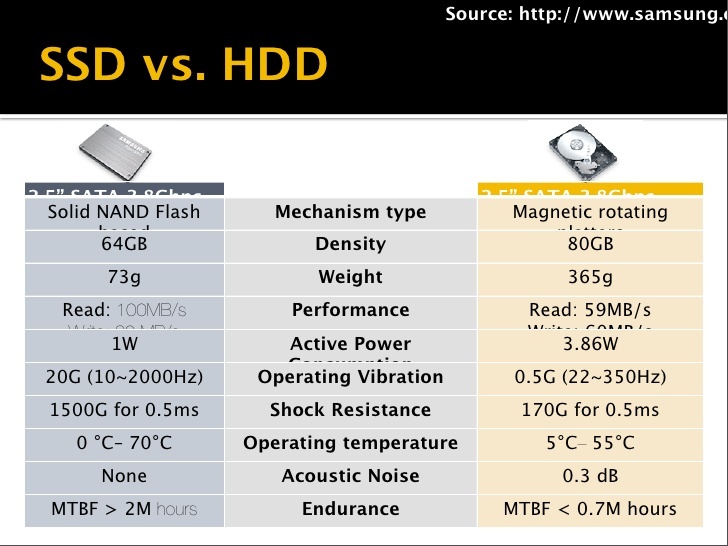 So the high cost disadvantage of solid-state drives has faded away. 2. Unlike traditional hard disk, which is shielded in Faraday cages, SSD is more susceptible to certain external factors such as power failure (especially DRAM base solid-state drive), magnetic interference, and static electricity, etc. 3. Limited number of writes (flash base). Generally, flash memory’s number of writes is 10,000 to 100,000 times, for tailor-made ones, it reaches 1 million to 5 million times, but within the whole computer life span, number of writes in some parts of the file system (such as file allocation table) will still exceed this limit. The tailor-made file system or firmware shares the locations of writes, so that the solid state hard disk can survive for more than 20 years. 4．Flash base SSD performs much slower than traditional hard drive at the time of writing, and is also more susceptible to fragments. 5. It is difficult to recover after the data is damaged. Traditional disk or tape storage could save some data through current data recovery technology if the hardware is damaged. But if a solid-state drive is damaged, it is almost impossible to retrieve data from invalidated (especially DRAM base), broken or punctured chip though the current data recovery technology. 6. Based on practical test, laptops with solid-state disks have shorter battery range than those with 2.5-inch 7200RPM traditional hard drive while idle or at low load. 8. Some users complain that solid-state hard drives with low-cost MLC are running slower than the traditional hard drives in Windows operating system as the Windows operating system’s file system mechanism is not suitable for solid-state drives. There are no such problems with Linux. From the perspective of development, HDD has basically not much room for development; its storage density is difficult to improve, not to mention the speed. SSD has a relatively good prospect. Many traditional hard disk makers have started to develop SSD or buy other flash manufacturing companies, for e.g., Western Digital Corp acquires SanDisk. Technically, companies represented by Intel and Samsung have started to promote pciex4 SSD. The sequential read/ write has reached above 2 GB. The advantage of solid-state drives is its fast speed, with which normal hard drives cannot catch up. For those who demand for this and travel a lot, solid-state drive is your best choice.